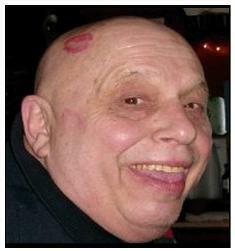 “Pat” Pasquale C. Montalto , 68, of N Wisconsin Street in Port Washington, Wisconsin died Saturday September 1, 2012 at the Aurora VNA Zilber Family Hospice in Wauwatosa after a brief stay their while battling pancreatic cancer. He was born in Lawrence, Massachusetts on November 15, 1943 to Angelo and Josephine Cristina Montalto. He served his country in the United States Navy and graduated from Polytechnic Institute of New York University in Brooklyn, New York. He worked in sales at Midland Container Manufacturing Company in Chicago for over 20 years retiring in 2008. Pat came to Port Washington 34 years ago and fell in love with it. Owned and still currently operating the Sundance Tavern, Port Washington since the late 1970’s. He was a member of the Van Ells-Schanen American Legion Post 82, Port Washington. He married Lila Parent of Milwaukee in July of 2007 in Port Washington. He had a passion for life, living it to the fullest. An amazing man, he was very loving and giving to family and friends. He was social and fun, sharing his Sicilian heritage with music and singing. He is survived by his wife Lila of Port Washington and children Lisa Swift, James (Becky) Montalto and Jaime (Dan) Clemans all of Illinois. Further survived by grandchildren Andrew S., Kathryn, Andrew C., Victoria, Joshua, Olivia and Owen; brothers Michael Montalto, Larry Montalto and Richard Montalto; sister Linda Semi, nieces, nephews, dear aunt Lillian Viscanti, other relatives and friends. A celebration of Pat’s life will be held 4 pm Saturday, September 8, 2012 at the funeral home with a visitation from 2 pm – 4 pm Saturday. Continued fellowship and socializing will be held at the Sundance after the service. Memorials to charity of donor’s choice appreciated.